– Please make sure your inventory is not full otherwise gifting items will not be possible and some valuable item may be wasted. – When Expedition Maze level is completed we have just 50 second to gift item. Therefor gifting is a bit complicated. Please post in comment section below item pictures so we can fill this collection. 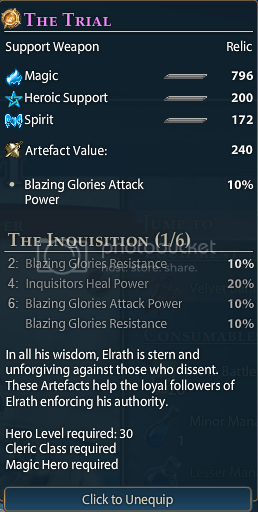 Just got one item from The Inquisition – Trial. 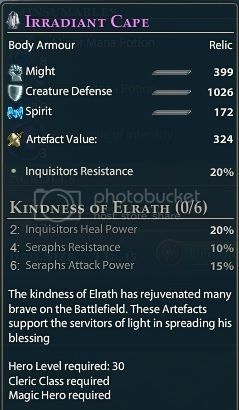 It has different stats (lower) than one one page. 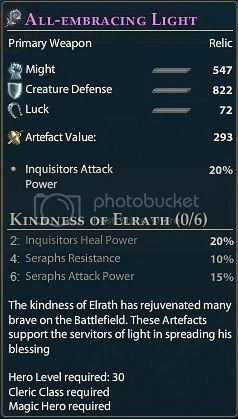 Thanks Prvi, not only stats can be lower or higher but stats may be completely different. Check out Death Knight (Death is Order) there are 3 pieces of Lower Body Part. Two with spirit one with luck.